There can be lots of tips and tricks to improve your photography and get the best out of your DSLR. Here are our Top 25 which are the most ignored tricks. You might be knowing many of these but how often do you use these options? fails to decide the exact place to focus. Just turn the manual focusing switch ON and rotate the focus rings until you get it right. Also its faster way to get the focus spot on. Most budget lenses have slow focusing system or struggle to focus in low light. In wildlife photography both have advantages and disadvantages. Imagine a bird sitting right behind few branches on a Tree, in that case auto-focus will mostly focus on the branch. Using manual focus will give you better control in such situations. There is another option of manual override in some models, where camera will auto-focus but you can override the focus manually if its not perfect. This is a trick which either most of the beginners are unaware of or fail to notice. The shutter of camera works on two level. Half pressing it locks the focus and other settings and will give you a green signal or beep to notify that the subject has been locked. Pushing it further down clicks the image. If you don’t get a go ahead green signal after pressing half shutter, redo it. this feature is not available if you are in manual focusing mode. can shoot without the eyeglass. 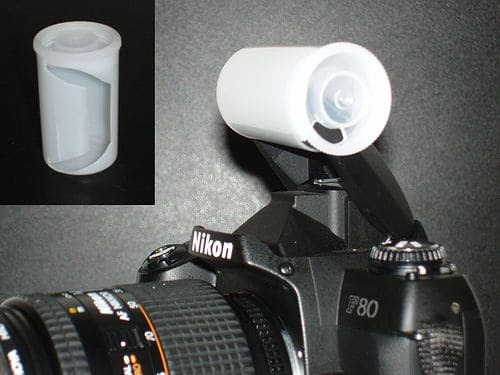 There is a small knob for dioptre adjustment right near the view finder. You can turn it to match the value of your eyeglass and use it without glasses. It usually ranges between +3 to -3 or +5 to -5. So if you have been prescribed very high value then it of no use. 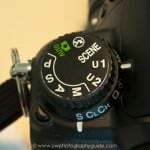 Your camera locks the auto-focus and auto-exposure when you half press the shutter. So why do we need a separate AE-Lock and AF-Lock button? Because we can separately decide to lock either exposure or focus and not both. Generally its not recommended to use a very High ISO but your DSLR is usually capable to go beyond ISO 6400. Increasing ISO value increases the sensitivity of the sensor inside the camera. This means it can see even in more darker situation. But as you will increase ISO value, the amount of grains on image will also increase. In few situations of complete darkness, it will at-least give you something. Something is better than nothing. Besides you can decrease graininess in post-processing. sRGB is the world standard for digital images, printing and the Internet. So long as you haven’t screwed with anything, you and the world are shooting in sRGB. RGB or Adobe RGB squeezes colors into a smaller range (makes them duller) before recording them to your file. Special smart software is then needed to expand the colors back to where they should be when opening the file. Adobe RGB may be able to represent a slightly larger range of colors, but no screen or print material which you are going to use in daily life can show this broader range, so why cause yourself all the trouble? A camera raw image file contains minimally processed data from the image sensor of either a digital camera. Raw files are named so because they are not yet processed and therefore need to be processed using any software like Adobe Photoshop. Raw image files are sometimes called digital negatives, as they fulfill the same role as negatives in film photography: that is, the negative is not directly usable as an image, but has all of the information needed to create an image. Keep your DSLR up to date with the latest firmware. Usually new cameras get frequent firmware updates to remove any software related error which may have been noticed after the roll out. You can check the firmware number in your camera menu and confirm the latest firmware on the website of that model. Most DSLRs have the option of embedding copyright information in the image via camera itself. Check out your camera manual if your DSLR supports it, or drop us a comment and we will find it for you. There are inbuilt programs to reduce the noise inside the camera itself after the image has been taken. However it will take a lot of time after each image depending upon exposure length. Also you can post process to remove some noise. have different nomenclature or they directly show the transfer speed like 45MB/sec, 95MB/sec etc. Lens-Hoods have two function. They reduce lens flare which is due to some light coming from the sides and then they act as lens (front element) protectors against bumps. to take images for timelapse. Most kit lenses and extreme wide angle lenses have some distortion due to optical elements. You can fix the distortion inside the camera only using auto distortion control. Check out your manual for details. If you don’t find let us know in comments we will confirm if it supports or not. You can also remove distortion in post-processing. You can crop, saturate, adjust contrast, remove red eye etc inside the camera itself using the inbuilt retouching function. Use it if you don’t have immediate access to you computer. menu. The camera will take two exposures and blend them to expose both the subject and the background evenly. Keep the camera steady while using slow sync. You can set 3 to 5 different exposure value which are called brackets and then keep the shutter pressed to take images with same composition but different exposures like -2, 0 and +2 . Use manual mode to keep other parameters equal. These 3 images may be imported in softwares like Photomatix or Photoshop to automatically create a High Dynamic Range Image. Don’t overdo an HDR. Keep it close to natural. Most of the beginners and even most professionals ignore histogram. It is a very useful tool to determine the underexposed and overexposed area in a image. We will do a detailed tutorial on how to use a histogram in our upcoming posts. There are chances that you may be tempted to press the delete all option on your camera while deleting images. Sometime it means losing an important image. Make a habit of locking your best images to avoid deletion by mistake. Remember that if you press format button then all the images will be deleted irrespective of lock status. Read How to Update the firmware version of your camera. Check best DSLR and Lenses OFFER HERE. Hope you enjoyed reading the quick tricks and tips. Do share in comments below if we missed something important. How to get better tone in daylight and lowlight situation and tell me fine tune and white balance setting of my nikon d7000. How do I add a watermark logo on a photograph on a Canon?? You can use any simple software like MS-Paint or Picasa. Use photoshop or lightroom for lossless editing. 1. Set the camera Mode dial to P, Tv, Av, M. You can create or modify copyright information only in P, Tv, Av, M, or A-DEP exposure mode. 2. Display Setup Menu 3 and highlight Copyright Information. 3. Press Set & Select Enter Author’s Name and press Set again. 4.After you finish entering your name, press Menu. 5. To check the accuracy of your data, select Display Copyright Info and press Set. helpful! And very interesting. Thank you!